Brockenhurst were founded in 1898, and were founder members of the New Forest League. 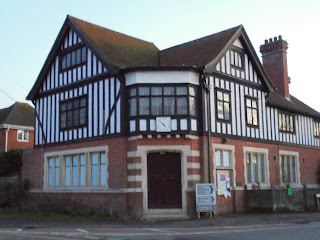 After World War 1, the club joined the Bournemouth League, before joining the West Section of the Hampshire League in 1923. However, they didn't last long at this level, finishing bottom in 1926 and returning to the New Forest League. They tried their luck in the Hampshire League again in 1935, but again didn't last long and returned to the New Forest League after two seasons. 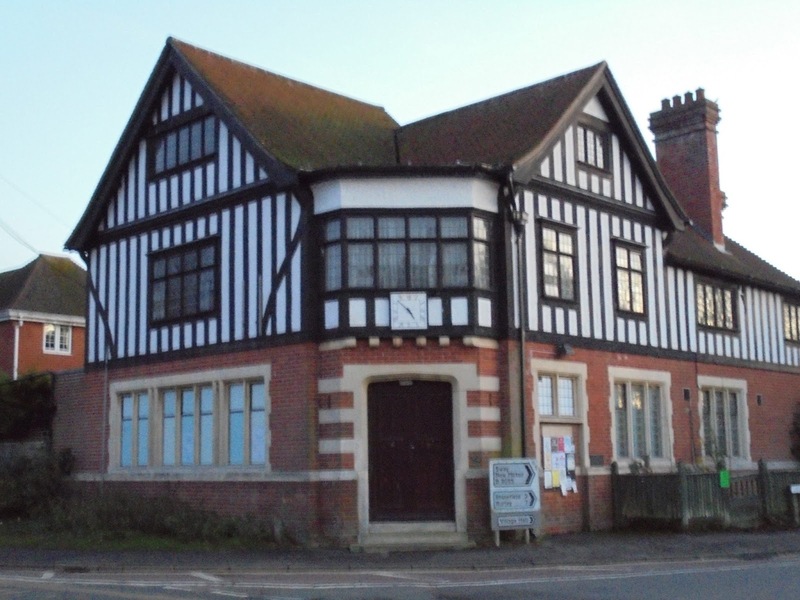 After World War 2, Brockenhurst returned to the Hampshire League in 1947, finishing as Division 3 West runners-up in 1952 and became members of the new Division 3 after a restructure of the league in 1955. The club won this league in 1960, earning promotion to Division 2. Promotion to Division 1 followed soon after, with a runners-up finish in Division 2 in 1962 sufficient for promotion. However, their stay in Division 1 only lasted three years, with the club being relegated in 1965 after finishing second-from-bottom. 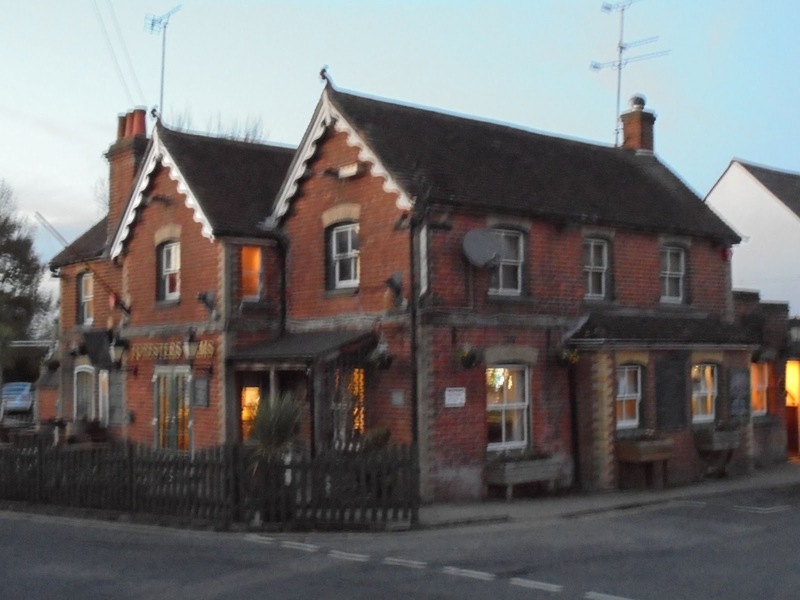 Brockenhurst soon returned to Division 1 of the Hampshire League, winning the Division 2 title at the end of the 1970/71 season. They then finished as runners-up of this league in the 1973/74 season, before winning the title in the 1975/76 season and finishing as runners-up for a second time in the 1979/80 season. In 1986, Brockenhurst became founder members of the Wessex League, finishing bottom of the league in its inaugural season. When the league gained a second division in 2004, the club became founding members of Division 1, before that became the Premier Division in 2006. The club were relegated to Division 1 in the 2010/11 season, but returned to the Premier Division after winning Division 1 in the 2012/13 season. The club have remained here ever since, with their highest finish since promotion being 10th at the end of last season. 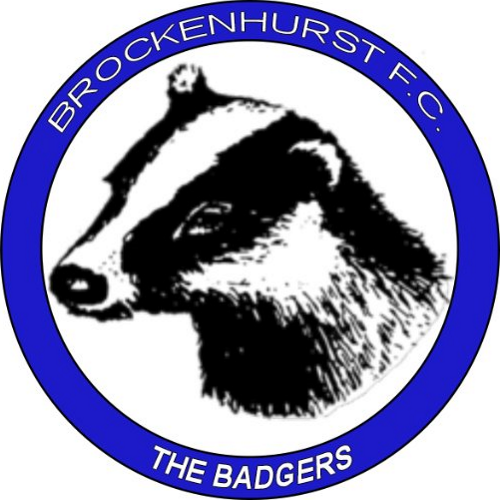 Brockenhurst were also involved in a record-breaking penalty shoot-out with Andover Town in October 2013, with 29 consecutive penalties scored in a tie which Brockenhurst won 15-14 on penalties; this is an English record, and possibly a world record as well. 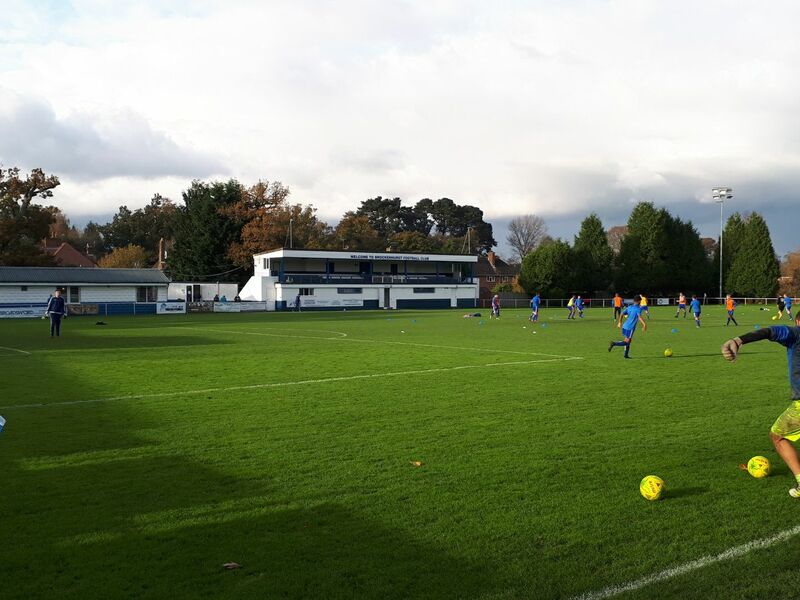 In the FA Cup, Brockenhurst's best run has been to the 3rd Qualifying Round, which has been reached on four occasions, most recently in the 2015/16 season when the club beat Fareham Town, Yate Town, Mangotsfield United and AFC Portchester before losing 5-1 at home to Wealdstone. Brockenhurst once competed in the FA Amateur Cup in 1973, but lost their only game in the competition 3-0 at Ilford. In the FA Vase, the club's best run came in their first season in the competition (1974/75), in which they reached the 5th Round, beating Newbury Town, Cowes, Gosport Borough and Cadbury Heath before losing 4-1 at home to Stamford. After my first few groundhops at University had all been fairly local affairs (an excursion into London is somewhat further out, but doesn't feel like it), I wanted to mix things up a little and go somewhere a little further afield on this occasion. Eventually, I saw this game and, while a glance at the table made me somewhat wary as to the quality to expect, I liked the look of the ground from pictures I had seen online, so decided to go and have a look. Overnight before the game, there had been a lot of rain and, unbeknownst to me (as I must have missed the club mentioning it on Twitter), there had to be a pitch inspection in the morning, which thankfully for me did not see the game postponed. By the time this had all happened though, I was already on the long train journey from Guildford to Brockenhurst (an hour and a half or so each way) and, going through lots of rural areas as the train moved into the New Forest, my phone's 4G signal was too poor for me to check Twitter anyway. In any event, I got to the ground at around 2:30pm and immediately went about my usual circuit of photos, with the only interruptions to this being the Hamworthy players asking me to take a photo of them as they warmed up (which I obliged with, and the photo in question can be seen below this paragraph) and me buying a burger from the "Badger Sett" tea bar. After eating my burger, I went to put my gloves on - as it was becoming bitterly cold - only to find I had somehow left one at home (goodness only knows how I managed to pull that off). After this, I waited by the dugouts for kick off, moving quickly across to the other side to get some decent photos of the players coming out before returning; in the first half, I stood beside the Hamworthy dugout, moving to stand beside the Brockenhurst dugout in the second half. A look at the table going into this game left me with some degree of concern about whether I'd be seeing a good match with lots of goals, or a match lacking on that front (leading to a further fall in my already-low (compared to last season) goal average for the season). 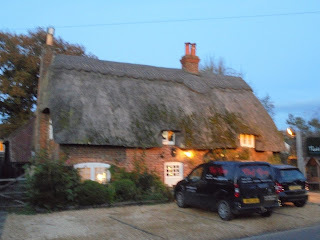 However, what I instead found was a decent contest that more than made up for the long train journey (around an hour and a half from Guildford to Brockenhurst, and 15 minutes longer on the way back), with some late drama giving Brockenhurst the margin of victory their performance deserved. The early stages of this contest acted as a decent prelude of what was to come: Brockenhurst were determined to play free-flowing attacking football (despite a pitch that had obviously been significantly affected by last night's rain), while Hamworthy were what I would describe as a team of cloggers. In other words, they were extremely physical at times and mostly played hoofball, with the occasional short-lived attempts at passing football (usually abandoned after the pass was misplaced). In fact, one such misplaced pass contributed for Brockenhurst's first goal on six minutes, providing an opportunity for a through ball to Mark Barker, who rounded the keeper to score into an empty net, much to the outrage of Hamworthy's manager and officials. This outrage intensified moments later, when another misplaced pass almost gave Brockenhurst the chance to double their lead, but this time a Hamworthy defender was able to get back and deal with it. After this, the half largely proceeded with Brockenhurst pinning Hamworthy back when on the ball, which was most of the time due to Hamworthy just hoofing the ball upfield and not winning the second ball. A few niggly fouls from both sides started to come into the game, and as this happened the Hamworthy manager (who at this point I was standing about 10 or so feet away from) lost his temper more and more, constantly swearing and moaning at the officials. This then led to a bizarre incident after half an hour, where the referee threatened to send Hamworthy's manager and assistant off, partially because of their abuse but also because they were both standing in the technical area at once. If it wasn't for the, shall we say, colourful language used by these two, it might have been a bemusing situation, especially because Brockenhurst's manager and assistant were both standing in the technical area as well. As it was, it wasn't pretty to watch at all, and it was frankly embarrassing that Hamworthy's captain had to calm the manager and assistant down to allow the game to continue; it was a farcical situation honestly, and they honestly let their club down somewhat in my eyes, which was a shame as their players seemed like a friendly bunch (I spoke to a few of them as I was going around taking photos). Anyway, shortly after this - and another spat between the Hamworthy officials and the linesman over where a free kick was taken - on 33 minutes, Brockenhurst doubled their lead, with Mitchell Speechley-Price eventually getting the ball in the back of net after a scramble at the edge of the box. The rest of the half followed without much happening, other than a couple more decent chances for Brockenhurst. However, the score remained 2-0 when the whistle went for half-time, and thankfully the Hamworthy officials had seemed to calm down somewhat. In the second half, Hamworthy started with a lot more coherence and urgency than they had shown during the first half (presumably given a bit of a bollocking by the manager during the interval), with Brockenhurst struggling to deal with the increased pressing from their opponents. As such, it was not even remotely surprising when Hamworthy pulled one back on 61 minutes, although the circumstances in which they did so were somewhat lucky: some decent Hamworthy pressing forced Brockenhurst's Ed Kitcher out of his goal to make a tricky clearance which, unfortunately for him, fell straight into the path of a Hamworthy player (either Jamie Gleeson or Edgar Zanin, I'm not sure which) who then put the ball into the empty net from around 25 yards out. Despite the circumstances in which it came, it definitely wasn't against the run of play, and with the way Hamworthy had started to play it felt as if they could make a comeback. However, what followed for most of the rest of the half was a battle in which both defences dominated: Hamworthy's efforts to equalise were frequently thwarted by last-ditch tackles from a strong and resolute Brockenhurst defence, while Brockenhurst's occasional incursions forward were easily swept up by Hamworthy's defence. As such, as full-time drew ever nearer it was looking more and more likely that Brockenhurst would hold out for the win, or Hamworthy would possibly sneak an equaliser. However, some late drama changed the situation entirely when a Brockenhurst counter-attack (which was excellently-led by Mitchell Speechley-Price, holding off most of the Hamworthy defence) eventually saw Matt Sheedy hacked down in the box to earn Brockenhurst a penalty after 89 minutes. Eventually, Mark Barker stood to take the penalty, duly converting it past Hamworthy's goalkeeper Andy Knights. And Brockenhurst weren't done there: the goal had firmly handed them the initiative, and they duly took advantage of that with a swift attack that eventually allowed young winger Leon Carbayo-Borges to score Brockenhurst's fourth in the 3rd minute of stoppage time, breaking into the box unopposed and calmly rounding the keeper. Overall, while the first half was somewhat tainted by the attitude of the Hamworthy officials, this was an excellent game in which both sides contributed plenty, although Brockenhurst were definitely deserved winners. However, I would say that, based on their second half performance at least, the scoreline is slightly harsh on Hamworthy, although ultimately they didn't take their chances while on top and then gave away a silly penalty right at the death, so they only really have themselves to blame. Of course, that's not to dismiss how impressive Brockenhurst were: they played much better than their league position would suggest, and it was nice to see a side play a free-flowing brand of attacking football at a time of year when games start to become more scrappy as pitches start to deteriorate. 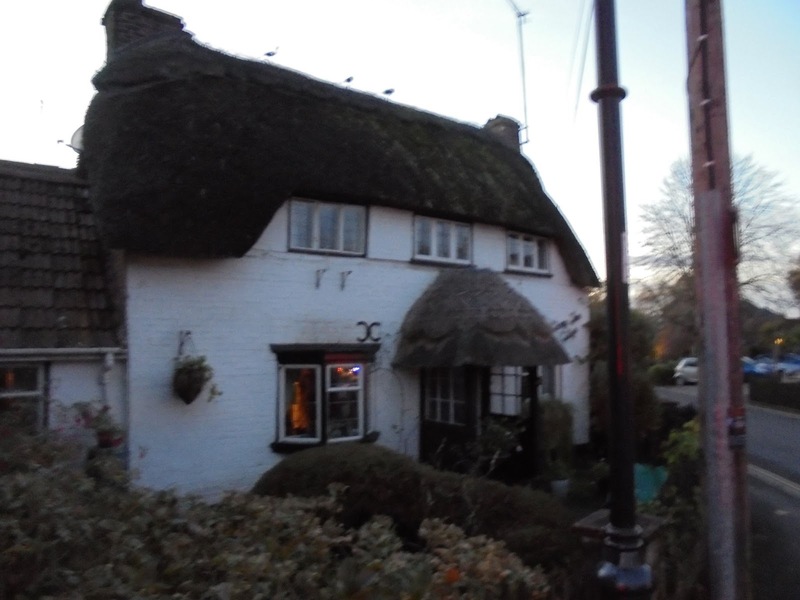 After the game, I had time to have a brief look around parts of Brockenhurst, and from what I was able to see, it looked like a very nice village, so when I visit here again, I will likely make a day of it to give myself the chance to look around properly. All in all, it had been a great day out at a good ground, with some very friendly people and some very good football on display as well; I can't wait to come back, even being as far away as it is. Grigg Lane is a good ground, one that I very much enjoyed my visit to. The main stand - dating back to 1978 - is excellent and utterly unique (from what I've seen, anyway), with some excellent elevated views of the pitch. To get into the stand, you have to climb some stone steps on either side, although I would assume there is something in place for disabled fans as well, as I distinctly remember seeing someone in a wheelchair up there during the game. The stand has a seated capacity of 200, with the seating being in the form of benches rather than actual seats. Other than this, the only area of cover is a small covered terrace behind the near goal, which is connected to the "Badger Sett" tea bar and could likely hold around 100 people, possibly more, should the situation ever call for it. The rest of the ground is open hard standing, although there are holes in this hard standing in a couple of places, particularly behind the far goal. At the current site, there is limited room to expand should the club rise through the leagues, but in fairness I don't suppose much would be needed in terms of football furniture in that scenario. The ground has an overall capacity of 2,000, with the record attendance being 1,104 for a game against St Albans City at some point. The only other notable feature at the ground is some unusual badger cutout that is situated between the dugouts: where the club got that from I will never know, but it's a nice enough addition to the ground that makes it feel more homely.